What would you do if you were starring in Disney’s next big sensation the night it’s set to open in theaters worldwide? Well Josh Gad, who plays Gaston’s loyal sidekick LeFou, in Disney’s “Beauty and the Beast” decided to stop by Magic Kingdom Park’s Be Our Guest Restaurant to surprise and delight guests! Josh popped over to the restaurant to greet fans and engage guests in a classic sing-along creating even more excitement around the film’s release. Just another reason we love Josh! Don’t miss “Beauty and the Beast” now playing! Special thanks to photographer Chloe Rice for capturing this special moment. Going to see it at the 3-D I-MAX here in Rochester NY! Can’t wait! I wish that I was there! 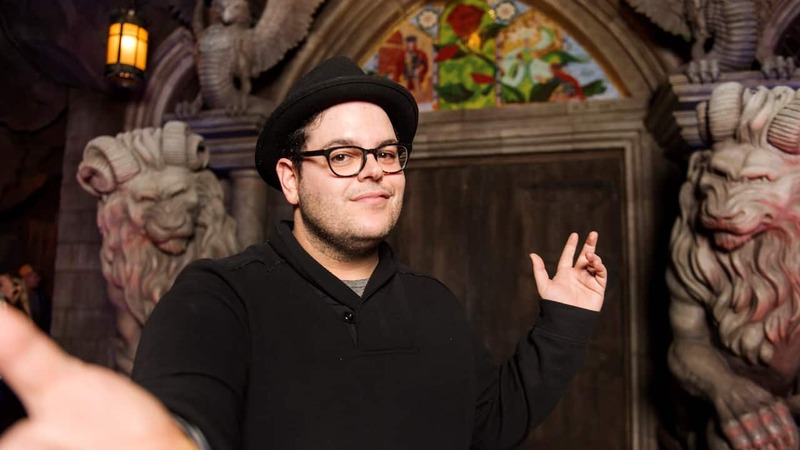 I would have loved to see everyone’s reactions to seeing Josh Gad in person. Keep up the great suprises to Disney fans please! We were there for dinner! It was such a great surprise not only to the guest but to the cast members also! Thank you Disney for a lifetime memory! He also showed up at the 7,30pm showing at AMC and I was there!!!! It was awesome! I only see one picture? Are there more?